I’ve never been a huge fan of meatloaf. It was not my favorite meal growing up and I think it’s partly just due to the name. A loaf of meat? It just doesn’t make my mouth water. 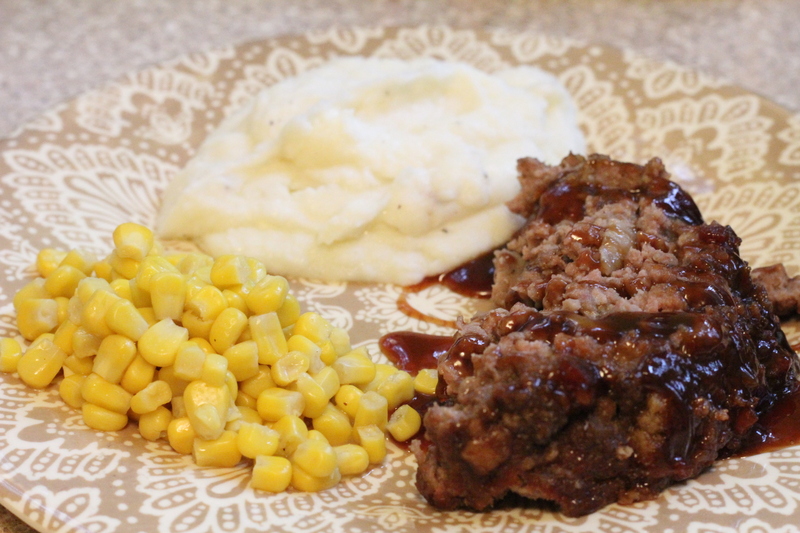 But, meatloaf has always been one of my husband’s favorite meals. I would rarely make it, so a few times my mother-in-law would make an extra one and send it home with us when we were visiting. Maybe I’m getting old, or maybe a little wiser (we’ll go with the last one) and deciding to be a little more open-minded and try things again. So, I decided I would give that meatloaf thing another try. I had some at a restaurant that was recommended by some friends and it was really great. 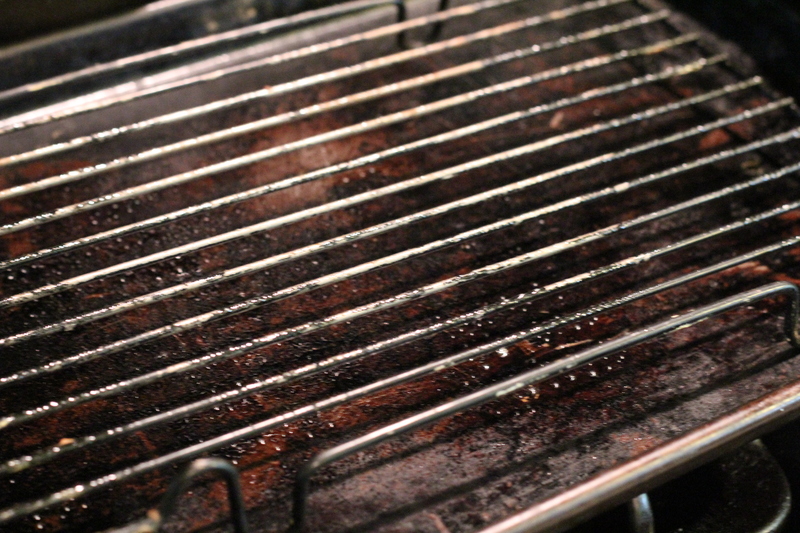 After they sliced it, they put the slice on the grill just for a minute so you can see those grill marks. And best of all, it was topped with little fried onions. It was really something and I gobbled it up. I looked at a few recipes and knew they were similar to the meatloaf I grew up eating, but I wanted to add a little more sass to the loaf. I’ve made it a few times to get all the kinks out and I think I have a winner. My husband loves it. My kids love it, I’m pretty sure my dogs would love it if I were nice enough to share, and this cook loves it too! I’m a born again meatloaf fan! 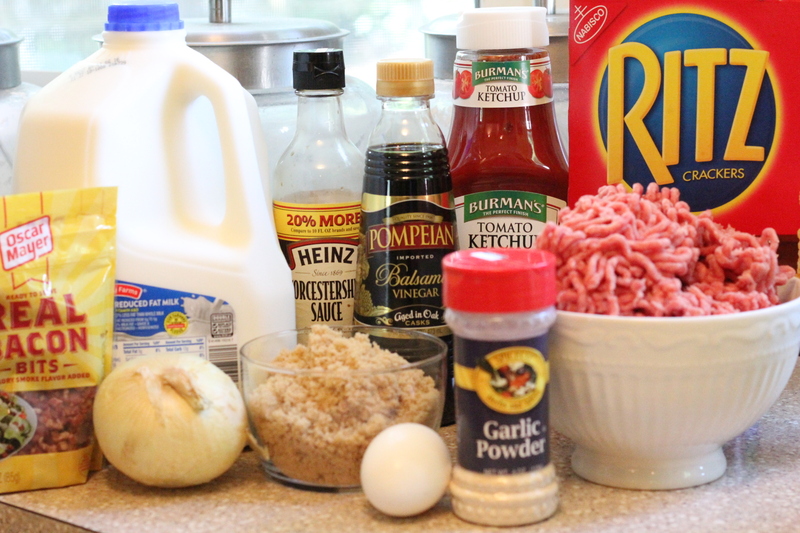 It starts with the basics, ground beef, diced onion, egg, milk, salt and pepper, but then you throw in a little treat from the Ritz Crackers. This is better than just breadcrumbs. It gives a hint of buttery flavor in every bite. 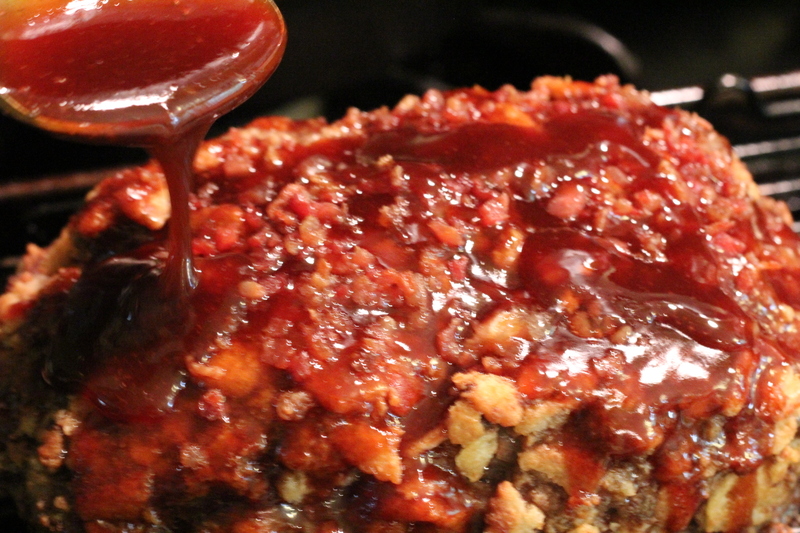 I add a little Balsamic Vinegar to the glaze and top the meatloaf off with some bacon crumbles. Can’t go wrong with bacon, in my opinion. So it has a little more flavor going on than the typical meatloaf, and a little more sassiness too. If you want to get all crazy, you could even add some of those fried onions at the last part of baking and it would be probably even better! I really think a meat loaf is best cooked on a raised rack. This allows the outside to get more of a crisp texture and allows all the fat to drain away, plus I think they cook faster this way too. They are also much easier to transfer to a pretty serving platter when cooked on a raised rack. You can make anything look a little fancier and yummier by plopping it on a pretty platter! You can buy special meatloaf pans that are raised to let the fat drain, but I just use a cooling rack or a flat roasting rack on top of a heavy jelly roll pan or roasting pan. Pretty basic ingredients with a few really good flavors to give it that extra oomph! 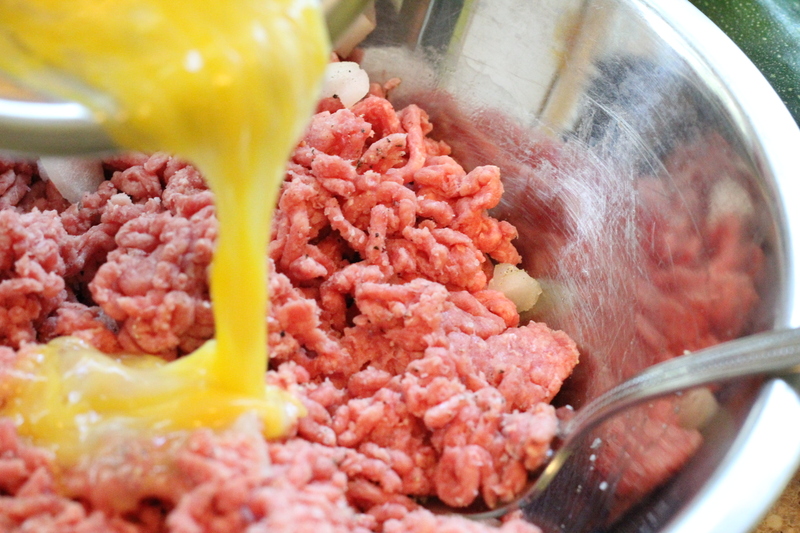 Combine the ground beef and onions, garlic, salt, and pepper. 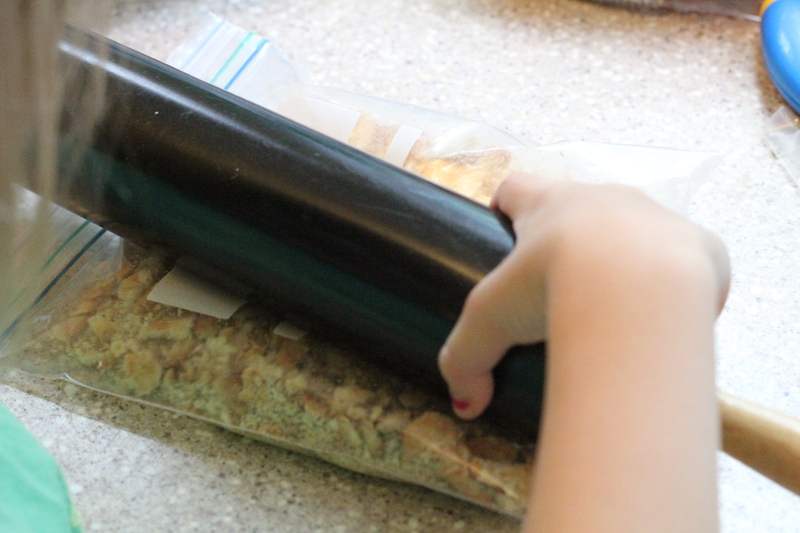 Crush up those Ritz Crackers and add them in. I think this is a perfect little job for a kitchen helper. They don’t have to be completely crushed. I kind of like to see little pieces of the crackers throughout the meatloaf. Last, add in the milk a little at a time until you get the right consistency. You don’t want it too moist that it won’t hold it’s shape, but wet enough that it keeps it’s moisture. Form it into a loaf on a sprayed rack and pan. I didn’t forget about the bacon or other ingredients. We’ll get to those. Bake this for about 30 minutes at 350° F uncovered. 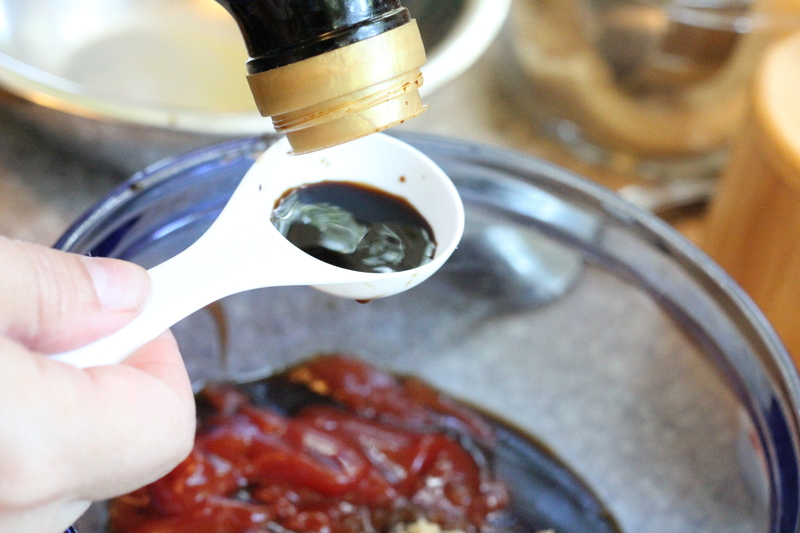 In the meantime, combine the Ketchup, Brown Sugar, Balsamic, and Worcestershire sauce in a small bowl. 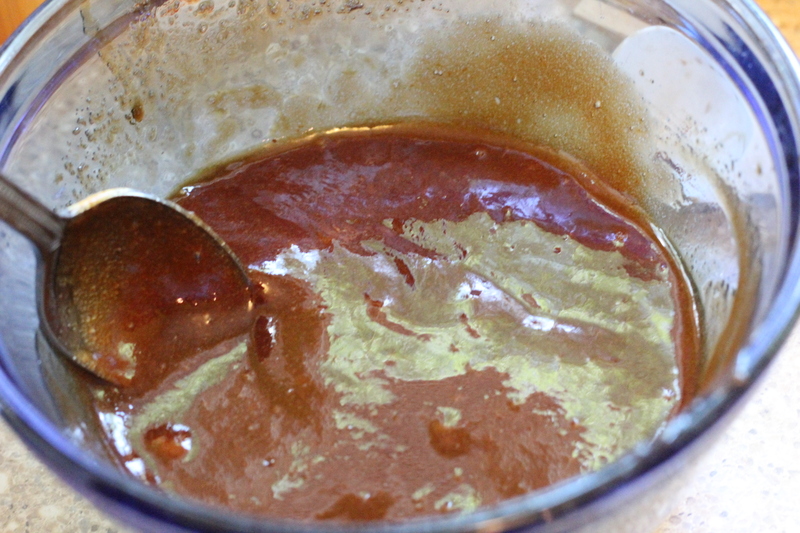 Stir this to make the glaze and set aside. 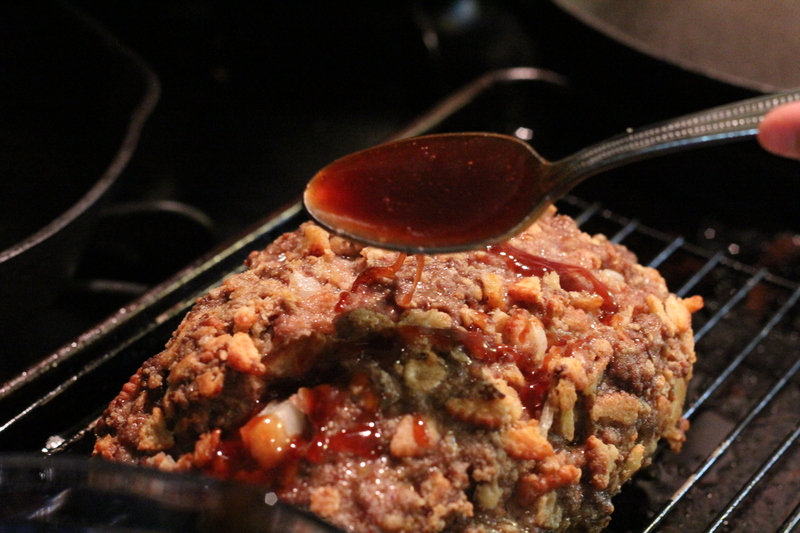 After the meatloaf has baked for about 30 minutes, remove from oven and spoon about half the glaze mixture on top. Then sprinkle on some of those bacon crumbles, or bacon bits. But the real stuff – not the fake. 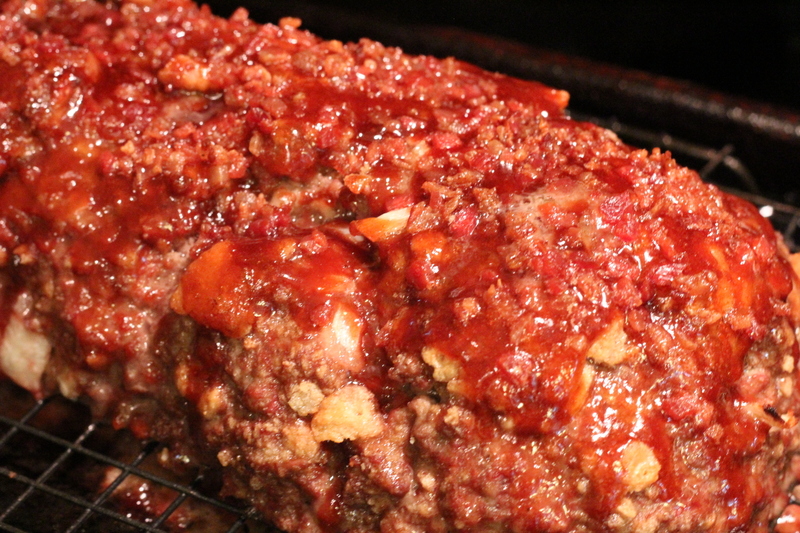 Then return the meatloaf, still uncovered back into the oven and bake for another 45 minutes to an hour until done. Top with more of the glaze, but save some for a little garnish on each slice at serving. 2-2 1/2 lbs of lean ground beef. 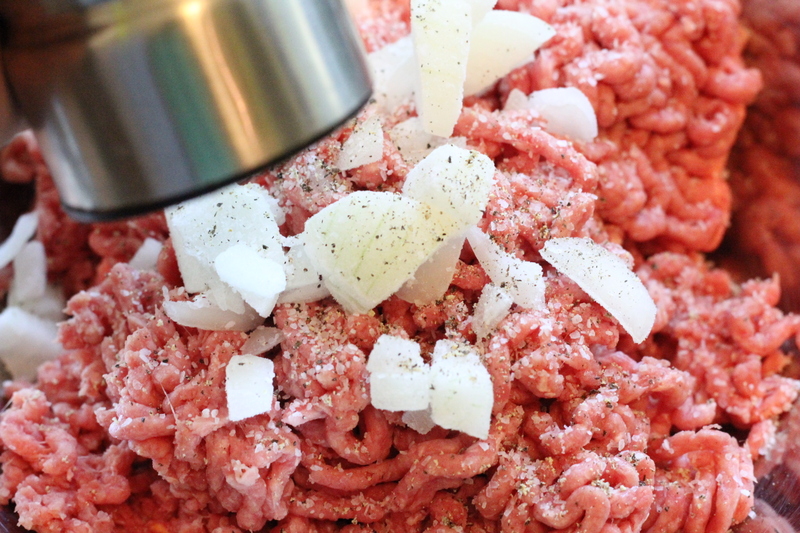 Combine ground beef, diced onion, garlic, salt and pepper in a large bowl. Gently work with spoon, fork or clean hands until distributed. 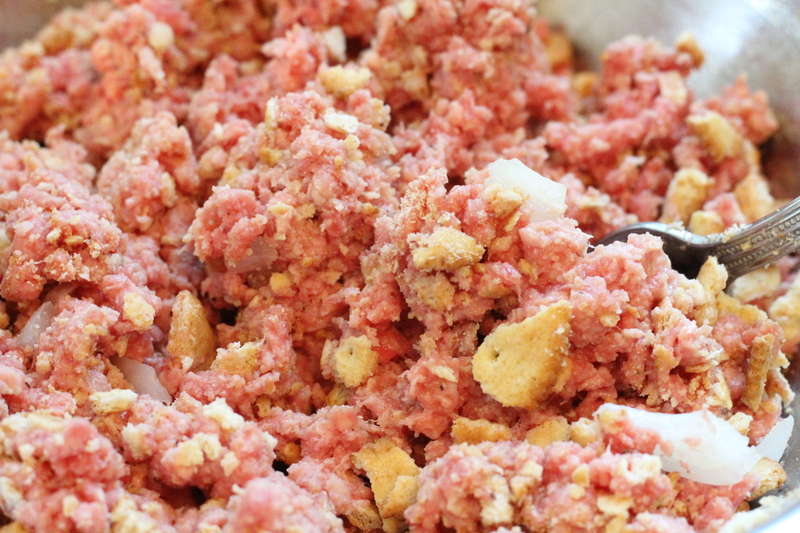 Add in beaten egg and then crushed crackers. Slowly add in milk until mixture is right consistency. Wet enough to keep moist through cooking, but not too wet and sloppy that it won’t hold it’s shape. Mix up Glaze ingredients and set aside. 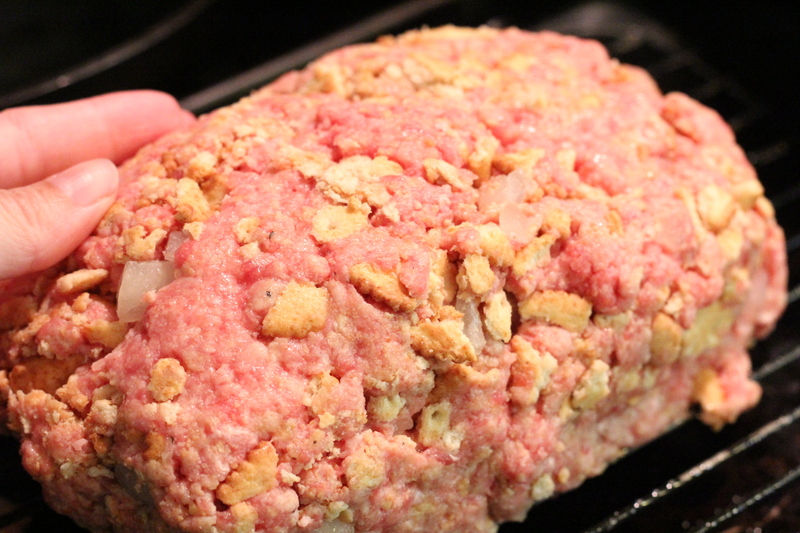 Gently form meatloaf mixture into loaf shape and place on rack. Bake uncovered for 30 minutes and then remove from oven. 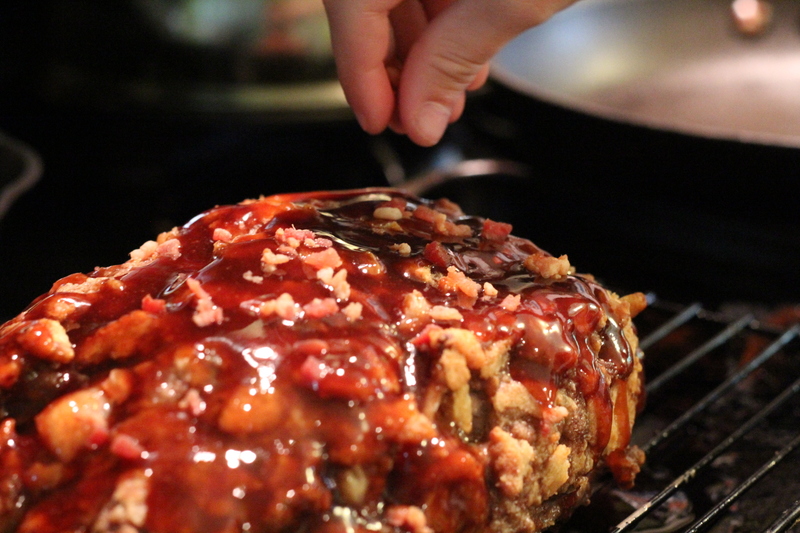 Spoon about half the glaze on top of the meatloaf and sprinkle with the bacon. Return meatloaf to the oven uncovered and bake for another 45-60 minutes until loaf is done. You can cut into a small center area to check to make sure beef is cooked and no pink. Top with rest of the glaze, but save a little for garnish. Let meatloaf rest for 15 minutes before slicing. As you serve each piece on a plate, spoon a little of the glaze on top.